It’s a chair that is usually defined by its classic steel rod mesh seating. But the 1950s Bertoia plastic side chair anniversary editions take this classic in a different direction. We don't think this is an official issue of the early '50s classic, but the Little Bert chair is still a very cool thing to add to a retro-inspired kids room. Harry Bertoia's classic side chair has a distinctive look which has inspired hundreds of lookalikes. if you like the look and want it at a reasonable price, Graham and Green's own version of the chair is currently on sale. 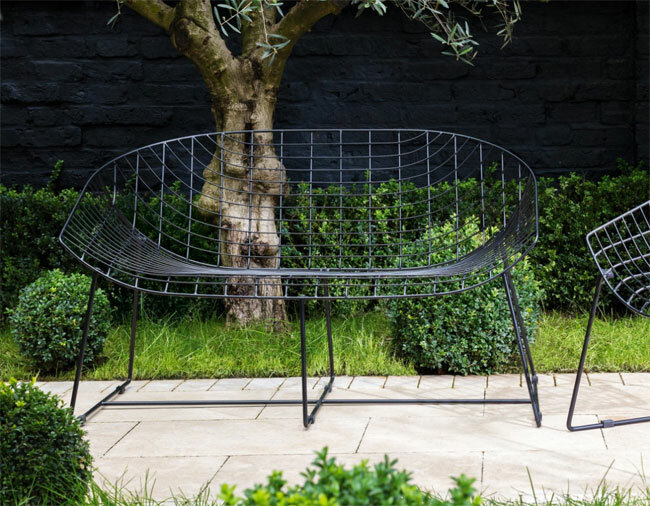 The original Bertoia design from the 1950s is still manufactured by Knoll from whom the chair will cost you about £300. Graham and Green's version is reduced to a third of the price selling for £100. Certainly worth a look if you're working to a budget.